As I mentioned in one of my posts on January, I am participating in the #SewMyStyle project which aims to raise “awareness about the slow fashion movement.” The participants are asked to sew one garment each month from a different indie pattern company. 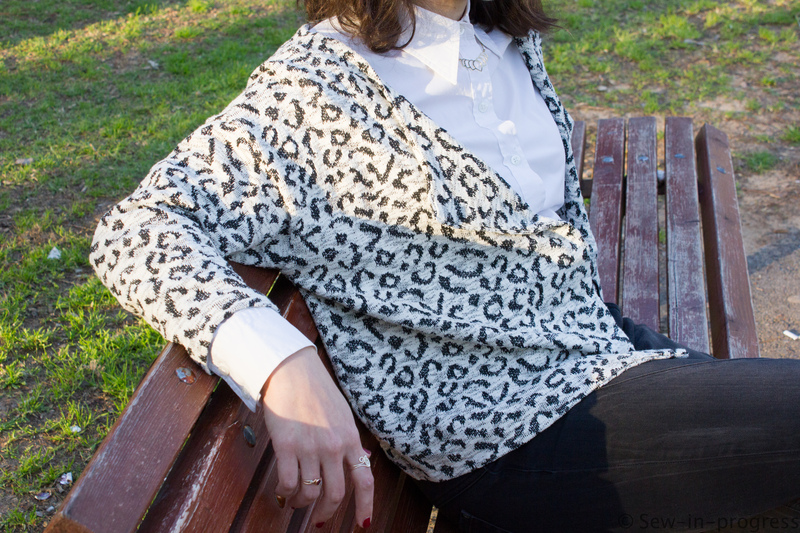 This month’s pattern is the Saunio Cardigan pattern from Named Clothing. I probably would not have chosen to sew this pattern if it was not for the project. First of all, in terms of personal style, I prefer to sew more close-fit jackets. 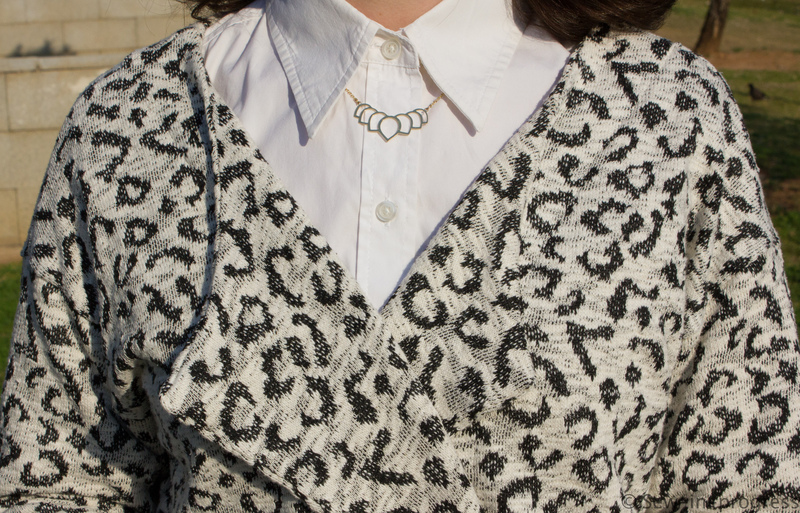 Also, I usually don’t sew cardigans because I am more used to knitting garments if they involve some kind of yarn. This was my first time stitching up a cardigan and I had fun with it. After sewing this one I think that I will start making more as I enjoyed it. For fabric, I used French terry knit fabric in cotton blend both for the cardigan and the facings. I got it from a local store in town. I really love how this fabric feels. The pattern itself was pretty straightforward and it was quick to make. The Saunio Cardigan comes in three sizes and I made size 38-42 which came out alright. I did not make a muslin for this one. Also, the instructions were clear and easy to follow. After I finishing the project, I was not 100% sure about the pattern. However, I wore it once and it is starting to grow on me. The cardigan has a relaxed style and it is very easy to wear. I am not sure if I’ll make this pattern again but I think that this cardigan will get a lot of wear. I might try to add a button to the front to turn it into a warmer cardigan. Love your fabric choice! So funky! Hi Medi, Love your saunio cardigan. It really suits you. I’m participating in Sew my Style too but didn’t get round to doing a blog post on the saunio. Thank you for your lovely comment! So you are participating too, great. I would love to see your version when you write about it.